Interior designs are plenty, with everything from minimalism and simplicity to industrial; all the way to modern chic decorating millions of homes around the world. However, one design trend is becoming increasingly popular with homeowners across the globe – the modern farmhouse design. Inspired by the charming, cozy, and rustic look of old farmhouses but with an undeniable necessity for modern details, the modern farmhouse trend aims to bring together two seemingly opposing fronts. 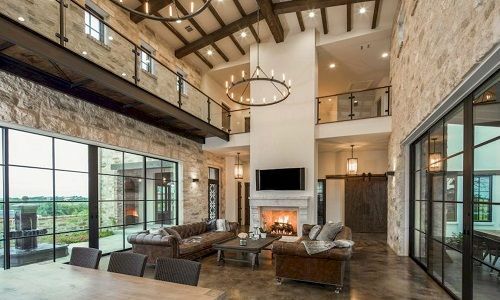 Here is the ultimate guide on how to enrich your living environment with the modern farmhouse design, and let warmth, intimacy, and positivity permeate your home. The modern farmhouse style is ruled by two simple notions: the notion of unmatched comfort, and unwavering practicality. This is not a style that works well with fragile elements or luxurious accents. Every detail, every ornament, and every decor solution needs to be strong, sturdy, preferably worn out and looking like it was earned with hard work and dedication. Likewise, the concept brings forth the comfort that is needed to create a cozy family home, a welcoming setting every family member will enjoy, the dog in particular. Think abundant natural lighting permeating the setting, with comfy rugs, textiles, throws and various accents scattered throughout the house. When it comes to making your farmhouse design modern, the balance will be key. While there are also plenty of contemporary elements to enrich the ambiance, your foundation should be in the old, rustic furniture that has been well-preserved throughout the years. Be wary though, as it can be easy to travel too deep into the rustic design, so make sure you introduce antique tables, cabinets, coffee tables, armoires, picture and mirror frames. Following this concept, make your way through every room, enriching each space with that timeless antique charm. This brings us to the next crucial point. With your foundation carefully laid out, it’s time to introduce modern contrasts that will bring the modern farmhouse design to life. Start with the living room and decorate your way through the bedroom, the kitchen, and finally, the bathroom. 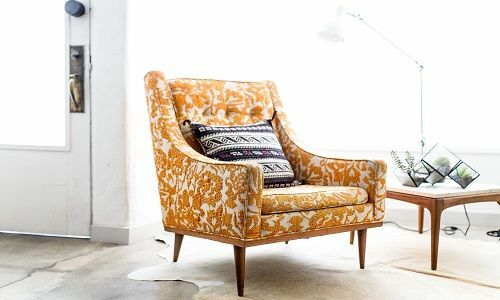 Think modern armchairs and elegant couches you can later complement with throws, blankets, and even beautiful sheepskin. For the bedroom, you want to create a focal point. While a wooden bed frame definitely is the way to go, you want the mattress and the bed sheets to give out a modern vibe. 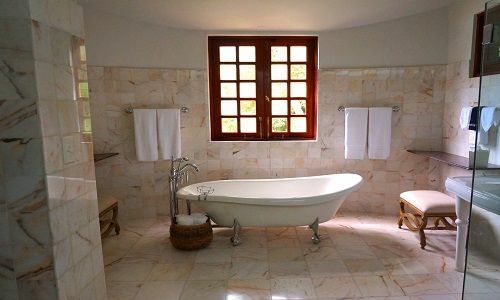 The same goes for the bathroom; it should have a traditional feel to it. But you want to complement the setting with modern amenities such as a white marble vanity or an elegant freestanding bath. 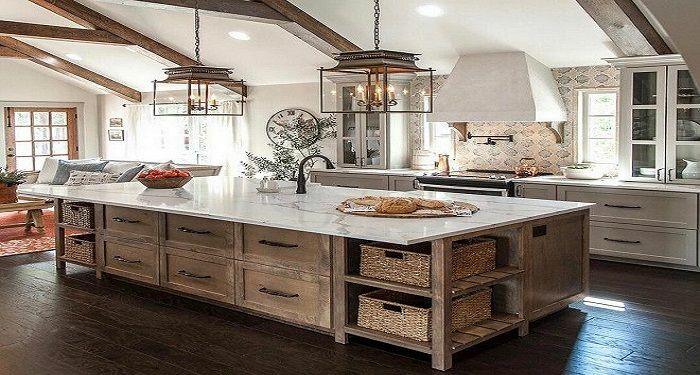 One of the most important elements that define the look and feel of a modern farmhouse design, is the use of open spaces. This doesn’t necessarily mean removing the front door or tearing down a wall to extend your living room into the backyard; but rather making smart architectural changes that will free up space and bring the comfy farmhouse concept to life. These types of projects are more demanding though, so before you reach for the sledgehammer, be sure to consult professional architects in order to create a realistic design plan that will bring the concepts together. This can be as simple as getting rid of the door between two rooms and creating an archway. Or it can be more complicated, such as tearing down a wall to create a grand living room. Remember, the modern farmhouse design thrives on the ability to move freely through space. When it comes to color design, the modern farmhouse look thrives on earthy hues complemented with striking accents. Think pastels on the walls with earthy accents on the doorways and around the windows. Use accents to frame certain areas of the room; or bring forth an area you particularly like and want to come to life. This can be the TV area, the fireplace, the kitchen island or the mirror in the bathroom. The possibilities are numerous, you simply need to use colors to lay the foundation, and accentuate. Finally, the modern farmhouse design thrives on natural elements. From reclaimed wood to various greenery dispersed throughout your home, you want to use the power of nature to introduce comfort, peace, and positivity into your living environment. Plank flooring and shiplap on the walls are particularly popular and can work with almost any design approach. Complement your wooden elements with greenery and flower arrangements that look as if they have been picked from your very own garden, and your job is done! 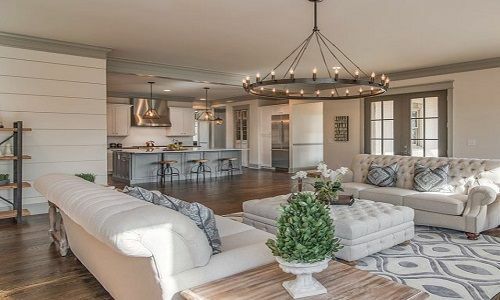 The modern farmhouse design is swiftly taking over the world as a welcoming, intimate, and creative look that aims to imbue your living environment with timeless charm and happiness. 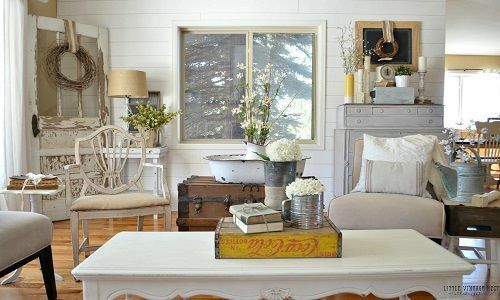 Be sure to follow this guide in order to effortlessly bring the modern farmhouse look into your home.